In an effort to expand Fish For A Cure’s footprint across the region, we are launching the 2018 Fish For A Cure Marina Challenge to help raise the fundraising bar higher each year and provide critically needed funding for this special care that makes a real difference in the lives of cancer patients and their families. The 2018 Fish For A Cure Marina will launch Friday, June 1, 2018 and end Friday, October 26, 2018. All boats must register for the Fish For A Cure Tournament by 11:59pm on Friday, October 26, 2018 in order for their marina to be counted in the Fish For A Cure Marina Challenge. When you register your boat for the 2018 Fish For A Cure Tournament, designate your preferred marina in the write in box. Your preferred marina will be notified of your registration. 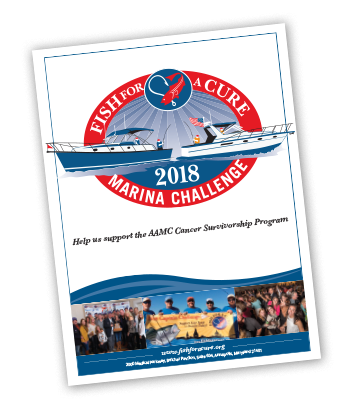 To register your marina as a participant in the Fish For A Cure Marina Challenge, download the F4AC Marina Challenge Packet and submit your registration form to sbuckley@aahs.org. Once your information has been received, your marina will be added to the Fish For A Cure boat registration page. 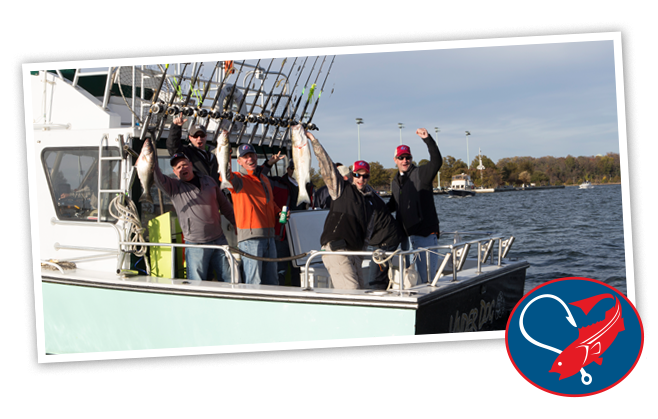 Marina Challenge participants will receive additional marketing resources and information to assist you in your endeavor to be the top marina of Fish For A Cure in 2018. For more information about the Fish For A Cure Marina Challenge benefits, timeline, and guidelines, contact Sam Buckley at 443-481-4587 or sbuckley@aahs.org. Recognition on a Fish For A Cure Marina Challenge trophy which will be prominently displayed at Anne Arundel Medical Center’s Geaton and JoAnn DeCesaris Cancer Institute.